Izolon – insulation, damp-proofing and soundproofing material. Used in construction, automotive and other fields as insulation. Resistant to organic solvents, ultraviolet light, etc. Izolon – elastic polystyrene foam, has excellent thermal insulation properties. Moreover, it is one of the most effective insulators available today. Widely used in the automotive and engineering industry, in the footwear industry and Orthopaedics, refrigerators, and air conditioners. On its basis produce fillers floating rescue equipment, household or business purpose, packing and gasket materials etc. Izolon can be "stitched" and "unsewn". Have unsewn the izolon or foamed polyethylene unrelated molecular structure. This means that the polymer molecules do not have chemical bonds. Unsewn izolon has unmodified structure of polyethylene and crosslinked modified. The result of crosslinking is the formation of cross-linked or net of molecular model. Quality cross-linked polyethylene is significantly higher quality unsewn. First cross-linking increases the thermal resistance of izolon, and resistance to organic solvents, gasoline, oil and netestate. Separately, you can select resistance to UV and atmospheric agents. There are several brands of izolon, differing in density, the working temperature interval, the physical-mechanical properties, cost, etc. But each of them has excellent thermal insulation and sound insulation. Izolon is waterproof, rot and moldy meets the requirements of hygienic safety. Easily installed using small nails, furniture staples, glue, double-sided tape etc. On average, 10 mm foam polyethylene can replace the 15 cm brick masonry or 4.5 cm wood (spruce or pine). Reliable heat retention and cold allows to obtain economic benefits from the use of izolon at the very beginning of operation. This material is resistant to the effects of cyclic changes of temperatures from +65 °C to -30 °C. the Foam is easy to cut, process by hot pressing, gluing, welding, vacuum forming, etc. 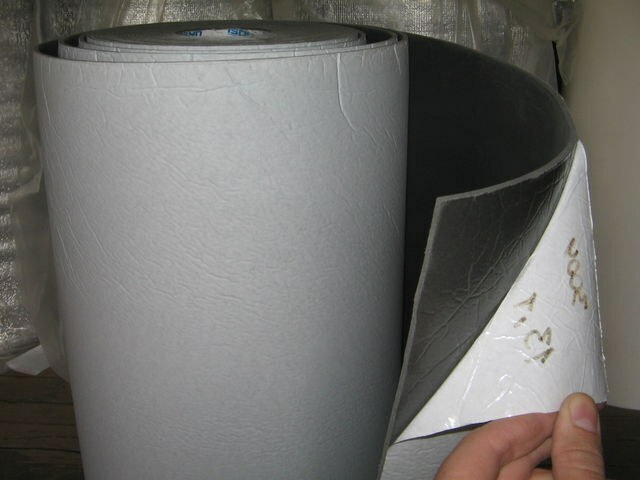 the Material is easily duplicated with plastic films, fabrics etc. Susceptible to staining in various colors. Izolon allow contact with human skin and food. The material does not emit toxic substances even at a temperature of +140 °C. in the production, there is no destruction of the ozone layer of the atmosphere, and the burial in the ground are not allocated to the poisonous gases and substances that pollute water bodies. Waste recycling can be reused as thermal insulation and packaging. In addition, it is possible to supply the building materials.